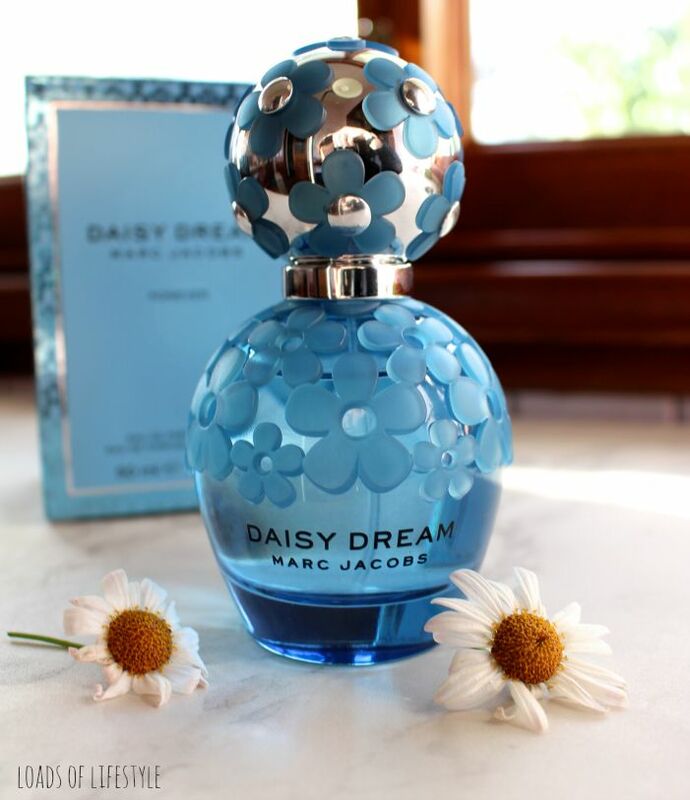 Inspired by eternal blue skies, Daisy Dream Forever embodies a youthful and ethereal charm, sending you into a daydream of the perfect spring day! With top notes of Blackberry, Grapefruit and Pear, it is quite a sweet fruity scent, however the middle notes of Jasmine, Lychee and Blue Wisteria, and base notes of White Woods, Musks and Coconut Water, bring it back down into a nice wearable everyday fragrance. The bottle is a deep blue translucent glass, adorned with frosted signature daisies on the shoulder of the bottle as well as the shiny silver cap. Loads of Lifestyle says: this is a nice everyday spring/summer scent, it is almost a little too sweet for my personal tastes - my perfume scents have definitely matured a lot lately - and I have received multiple comments on the scent when I have been wearing it. The boyfriend finds its a little to sweet as well - but hasn't complained when I have been wearing it!! I love the luxe look of the bottle, its quite heavy - I like a sturdy well made item. 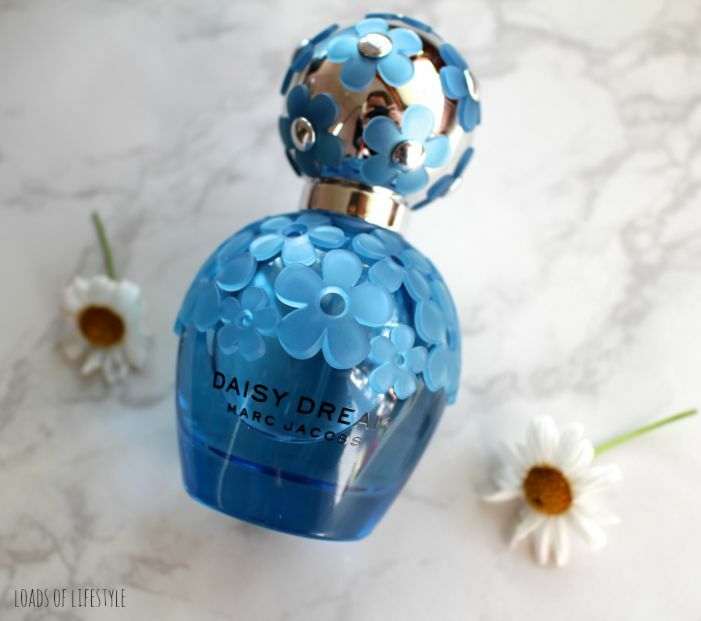 Daisy Dream Forever is available now from Myer and David Jones, and from September 1st from Sephora and selected pharmacies. I love the original Daisy fragrance and this one sounds so good! 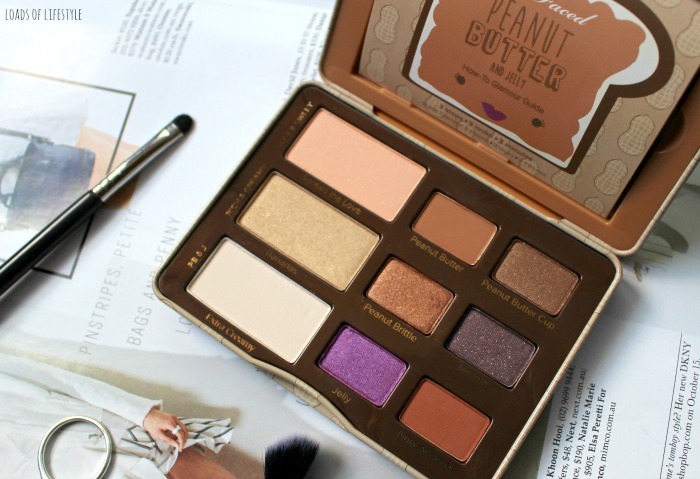 The packaging is gorgeous.